Villaverde will start celebrations in honor of San Vicente Ferrer, the patron of the local church. These festivities will last for a week and will include sports, activities for children and also live music. This event will begin on the 17th of April, on th Monday after Easter Sunday. You will have the chance to try the famous Bola Canaria game and there will also be plenty of activities planned for children. 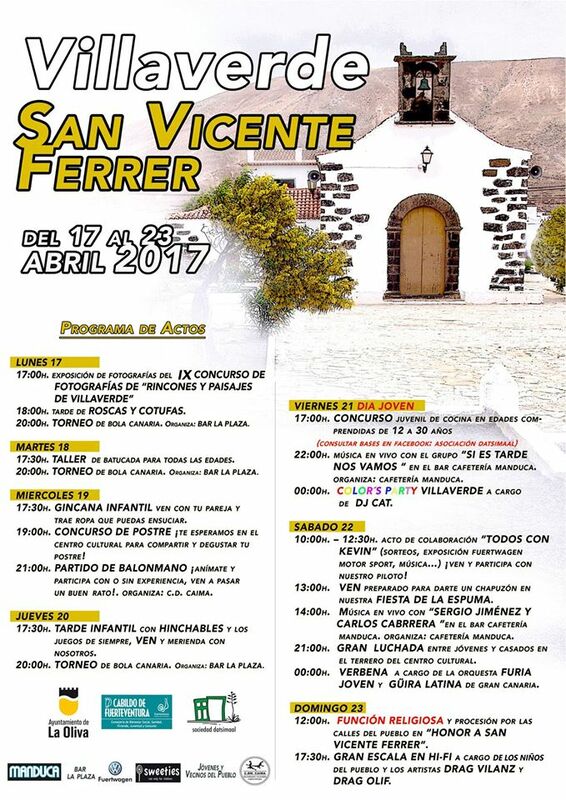 On Saturday night there will be live music and on Sunday there will be a procession on the streets of Villaverde in honor of San Vicente Ferrer. Please check the entire program and schedule of the activities in the poster below.